It seems that there is overwhelming interest in C.S. Lewis this year. The Lion, the Witch, and the Wardrobe, played to record crowds and many bookstores carried C.S. Lewis displays in their Christmas offerings. Those who know no more of him that what you see on the screen or by means of the action figures you get at a fast-food restaurant are cheating themselves. 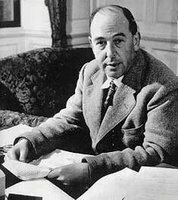 Lewis was a brilliant thinker and writer as evidenced in books like The Screwtape Letters, Mere Christianity, A Grief Observed, and The Chronicles of Narnia, to name a few of his books. To the Source just ran a list of some of Lewis’ many wonderful quotes. They are shared below. If you haven’t had a chance to read much of what he wrote, perhaps these will tantalize you to go to the library or bookstore today.